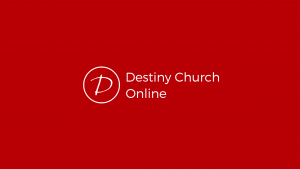 Welcome to Destiny Church at our City location. We are based in the centre of the beautiful city of Glasgow. You will be welcomed at the front door by one of the stewards who will invite you to our café for a light refreshment and connect you with others. At 11am our service starts. Our worship is exhilarating and the Bible teaching is life-changing. The City also hosts the evening service which begins at 5pm. We look forward to welcoming you to Destiny’s City location. You can also join the Sunday evening service LIVE from 5.30pm every Sunday night! We have a café serving refreshments before and after the service. Free parking on Sundays on Collins Street. Cathedral Precinct Car Park 2 is next to the church. £3 on Sunday flat rate (8am-6pm). There are a host of buses passing through the city centre in short walking distance from our city location. Visit www.mcgillsbuses.co.uk and www.firstgroup.com. Registration opens half an hour before every service and parents are expected to stay on location where possible. Please let the Kids Team know if your child has any allergies or special needs. All of our volunteers are PVG checked to work with children. We look forward to getting to know you and your kids. Quiet and Feeding Room: during the service, sound is fed from the main auditorium into this room to allow you to continue listening to the message while your child is sleeping or being fed. Parents and Baby Room (Age 0 to 3 years): during the service, sound is fed from the main auditorium into this room to allow you to continue listening to the message. Here you will find lots of toys for your baby to play with. There are also baby changing facilities in the disabled toilet. UNDERS (Age 3 to 5 years): interactive Bible story time, activities, snack time, arts and crafts, songs and movement. Children between 2 to 3 years are welcome – accompanied by an adult. OVERS (Primary 1 to 7): large group time with music, a Bible story and role play elements; small group time with games, interaction and meaningful group talks and prayer time. The youth do not have a separate meeting during the service, however, for details of Destiny Youth, click here.